The ever-clever Derek Orr pointed out, "Keep going, 277--59th prime, 59--17th prime, 17--7th prime." And "277 = 1^5 + 1^5 + 2^5 + 3^5 (first four Fibonacci numbers)"
1479 University of Copenhagen founded. The University of Copenhagen was founded in 1479 and is the oldest university in Denmark. Between the closing of the Studium Generale in Lund in 1536 and the establishment of the University of Aarhus in the late 1920s, it was the only university in Denmark. The university became a centre of Roman Catholic theological learning, but also had faculties for the study of law, medicine, and philosophy. 1621 The Duke of Württemberg declared Katharina Kepler free of a witchcraft charge for which she had barely avoided execution … with the help of her son, the astronomer Johannes Kepler. The famous scientist was very well along his career, and his mother a "too-old-for-this-crap" 69, when authorities in her native town of Leonberg initiated proceedings in 1615. It appears that the professor is now at the School of Philosophy, Psychology and Language Sciences, University of Edinburgh, and where he posted a slightly altered version. It seems he has decided the first two lines should be slightly altered. *@JohnDCook,Twitter The original can be found here. 1716 James Lind FRSE FRCPE (4 October 1716 – 13 July 1794) was a Scottish physician. He was a pioneer of naval hygiene in the Royal Navy. He is of matheamtical interest because he conducted the first modern clinical trial. He developed the theory that citrus fruits cured scurvy. He argued for the health benefits of better ventilation aboard naval ships, the improved cleanliness of sailors' bodies, clothing and bedding, and below-deck fumigation with sulphur and arsenic. He also proposed that fresh water could be obtained by distilling sea water. His work advanced the practice of preventive medicine and improved nutrition. 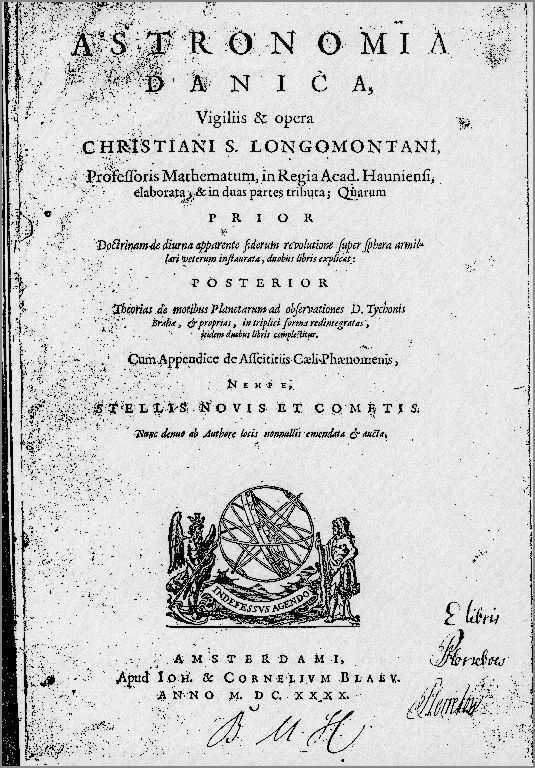 1759 Louis François Antoine Arbogast (4 Oct 1759, 18 April 1803) Arbogast was interested in the history of mathematics and classified Mersenne's papers and collected manuscript copies of memoirs and letters of Fermat, Descartes, Johann Bernoulli, Varignon, de L'Hôpital and others. This is an extremely important collection, part of which is now in Paris and part in Florence. He was friendly with François Français and together they worked on the calculus of derivations and the operational calculus. After Arbogast died in 1803, François Français inherited his collection of manuscripts, and also his mathematical papers. He continued Arbogast's work on the operational calculus and presented a memoir on this topic, in particular applying the methods to study projectiles in a resistant medium, to the Académie des Sciences in 1804. This memoir was very highly praised by Biot in a report of 22 April 1805, but the work was not published. The historical manuscripts which went to François Français on Arbogast's death were bought by Libri (See Deaths, Sep 28 1869) from a bookseller in Metz in 1839. We should mention one other important contribution made by Arbogast. He was responsible for the law introducing the decimal metric system in the whole of the French Republic. 1794 Félix Savary, (Oct 4, 1797, July 15, 1841)was a French astronomer who studied at the École Polytechnique, where he was later a professor of astronomy. He was a librarian at the Bureau des Longitudes between 1823 and 1829, and was elected to the French Academy of Sciences on December 24, 1832. In his works Mémoire sur les orbites des étoiles doubles and Sur la détermination des orbites que décrivent autour de leur centre de gravité deux étoiles très rapprochées l'une de l'autre, published in 1827, he was the first to use observations of a visual binary star to calculate the orbit of one star about the other. He applied his method to the star ξ Ursae Majoris. 1935 Hitoshi Kumano-Go (4 Oct 1935, 24 Aug 1982) published a series of papers which studied the local and global uniqueness of the solutions of the Cauchy problem for partial differential equations. This work used ideas from earlier contributions to the topic by Calderon and Zygmund. In two papers Kumano-Go also studied non-uniqueness of solutions of the Cauchy problem. Kumano-Go spent the two academic years 1967-69 visiting the Courant Institute of Mathematical Sciences at New York University. These were years of great benefit to Kumano-Go who was able to develop many ideas in conversations with Kurt Friedrichs, Peter Lax, Louis Nirenberg and others. He became involved in founding the theory of pseudo-differential operators and after his return to Osaka he continued to publish important contributions to this topic. An important monograph written by Kumano-Go was Partial differential equations which was again written in Japanese and was published in 1978. This is a textbook which in addition to studying partial differential equations provides an introduction to pseudo-differential operators. In addition to his work on pseudo-differential operators, Kumano-Go published a series of papers on the product of Fourier integral operators. This collaborative work with his colleagues led to results which were applied to the construction of the fundamental solution of a first order hyperbolic system and the study of the wave front sets of solutions. 1974 Robert Lee Moore (14 November 1882 – 4 October 1974) was an American mathematician, known for his work in general topology and the Moore method of teaching university mathematics. Moore entered the University of Texas at the unusually low age of 16, in 1898, already knowing calculus thanks to self-study. He completed the B.Sc. in three years instead of the usual four; his teachers included G. B. Halsted and L. E. Dickson. After a year as a teaching fellow at Texas, he taught high school for a year in Marshall, Texas. An assignment of Halsted's led Moore to prove that one of Hilbert's axioms for geometry was redundant. When E. H. Moore (no relation), who headed the Department of Mathematics at the University of Chicago, and whose research interests were on the foundations of geometry, heard of Robert's feat, he arranged for a scholarship that would allow Robert to study for a doctorate at Chicago. Oswald Veblen supervised Moore's 1905 thesis, titled Sets of Metrical Hypotheses for Geometry. Moore then taught one year at the University of Tennessee, two years at Princeton University, and three years at Northwestern University. In 1910, he married Margaret MacLelland Key of Brenham, Texas; they had no children. In 1911, he took up a position at the University of Pennsylvania.